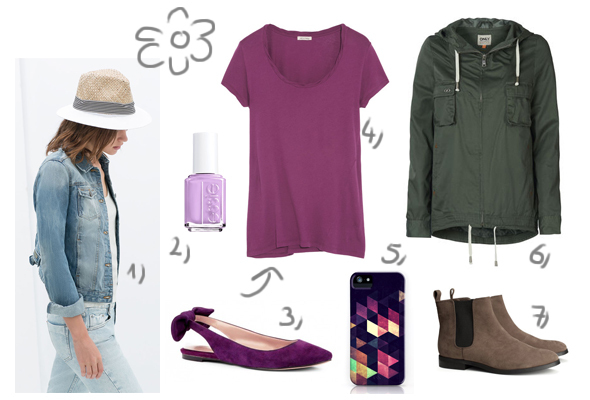 Colors of spring: radiant orchid & neutrals | go do. I just recently found out that the Pantone Color of the Year 2014 is Radiant Orchid. I don’t think I own anything in this color yet but to me it screams spring . Here are some of my favorite pieces for the new season. What do you think about Radiant Orchid? I already treated myself to these boots (number 7) and got gifted the parka. Loving both pieces so far! Also, I’m a little sad that my denim jackets from 10 years ago don’t fit anymore. They just go with everything .